We are caught in the “cult of efficiency” where only the economic benefits of knowledge or the increase in power over others which these may bring, are valued. The notion that the desirable activities are those that bring profit has made everything topsy-turvy. 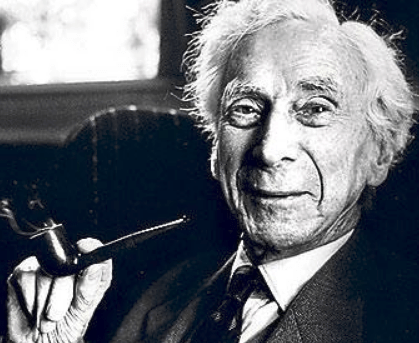 Technically not very visual, here are some thoughts from Bertrand Russell on idleness. The relevance for visual squirrels is, in my mind, simply that idleness is the state where the best ideas are born. There is far too much work done in the world, immense harm is caused by the belief that work is virtuous. Moving bits of matter around at or near the surface of the earth – is not the aim of life. If it were, people would enjoy it. Yet, by and large, those who actually carry it out shun work whenever possible. It is only those who tell others what to do who laud its virtues. Corporations in the modern world kill the human spirit by negating two fundamental activities that are distinctive of any civilised society; namely, craftsmanship and aesthetic appreciation. Russell argues that the only ethics of work is to not consume more than one produces during a lifetime. This is the ONLY duty of work. indoctrination of “honest working man”, made manual workers believe that there is some special nobility in what they do: altering the position of matter in space. That the idea of the manual worker is some sort of excellence in itself. Supreme virtue of hard work. Dignity of labour. But without leisure, mankind would never have emerged from barbarism. I hope that, after reading the following pages, the leaders of YMCA will start a campaign to induce good young men to do nothing. If so, I shall not have lived in vain. “A certain number of people are employed by a company that makes as many pins as the world needs, working say, 8 hours a day. Someone makes an invention by which the same number of men can make twice as many pins. But the world does not need twice as many pins: pins are already so cheap that hardly any more will be bought at a lower price. In a sensible world, everybody concerned in the manufacture of pins would take to working four hours instead of eight, and everything else would go on as before. But in the actual world this would be thought demoralising. The men still work eight hours, there are too many pins, some employers go bankrupt, and half the men previously concerned in making pins are thrown out of work. Hey guys. Glad I “re-found” you all. I recently moved and haven’t been on for a while. Self-hosted eh? Nice. Except now I can’t use the WP App to comment. Boo! Yeah I just don’t have the net at home just yet – we moved and it all got kind of lost in the shuffle. Hi again, Matt – do us a favour and see if – on mobile – you get an app suggestion? hey – no, I don’t.